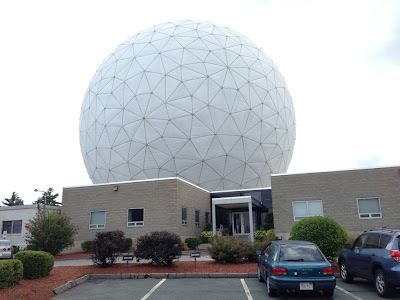 The building in which this year's ISR School is currently taking place, is dwarfed by the Haystack Radio Telescope, a 37-m parabolic dish antenna, which recently was upgraded to operate as a radar at 95 GHz as well as doing radio astronomy in the band 85-115 GHz. In 2010, the ISR School already took place at the same location, and the modification of the antenna was just under way. 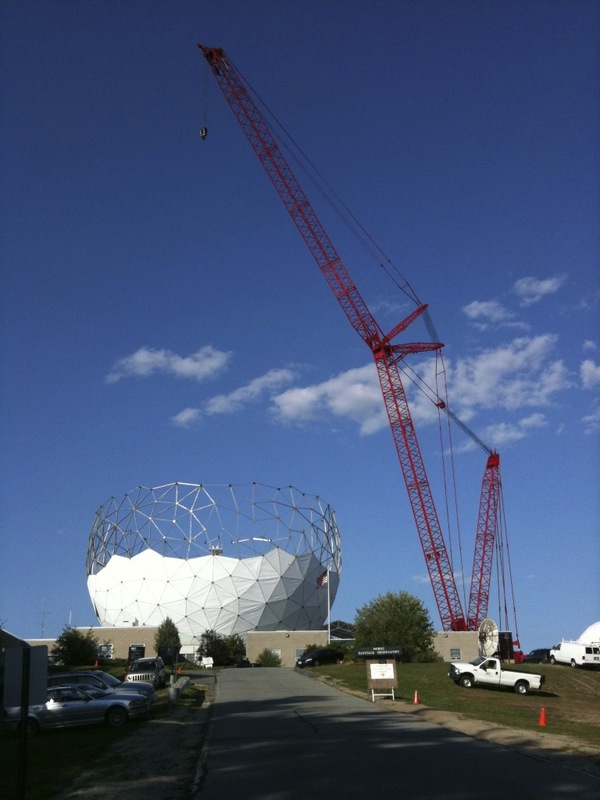 A huge crane had been built next to the facility in order to lift the cap off of the radome and then take the old dish out for refurbishment. It was an impressive site. 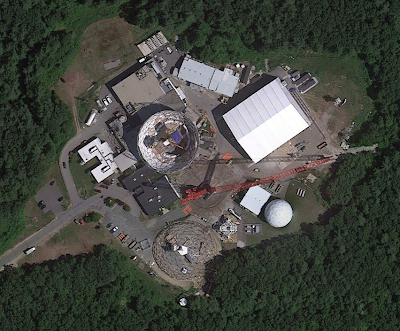 During the 2010 ISR School, Google updated the aerial imagery at their Google Earth service, which still today shows a spectacular view of the open radome from above. 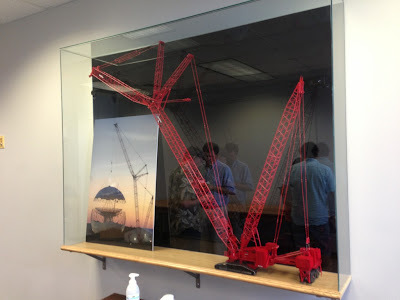 Today, a scale model of the crane and a beautiful photograph in a glass cabinet bear witness to this epic effort of upgrading the Haystack Radio Telescope. Photos: Thomas Ulich and Google Earth.